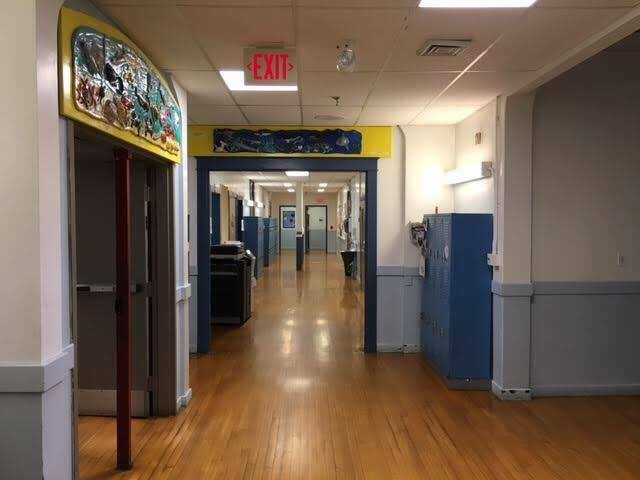 The 28,200 square foot middle school on Knowlton Street was designed in 1925 by the well-respected Augusta architecture firm of Bunker and Savage and falls under the jurisdiction of the Camden-Rockport School Administrative District 28. It was renamed after Mary E. Taylor in 1957, who served as the school’s principal from 1916-1953. Many local residents attended school in this original Mary E. Taylor (MET) building, which holds significant importance with the community. The building is in relatively good condition with only minor repairs needed. The major needs for the building include ADA access improvements and updates to codes. Since 1957, the MET building has continually expanded and now contains 122,000 square feet. The original building has been nominated for listing in the National Register of Historic Places. 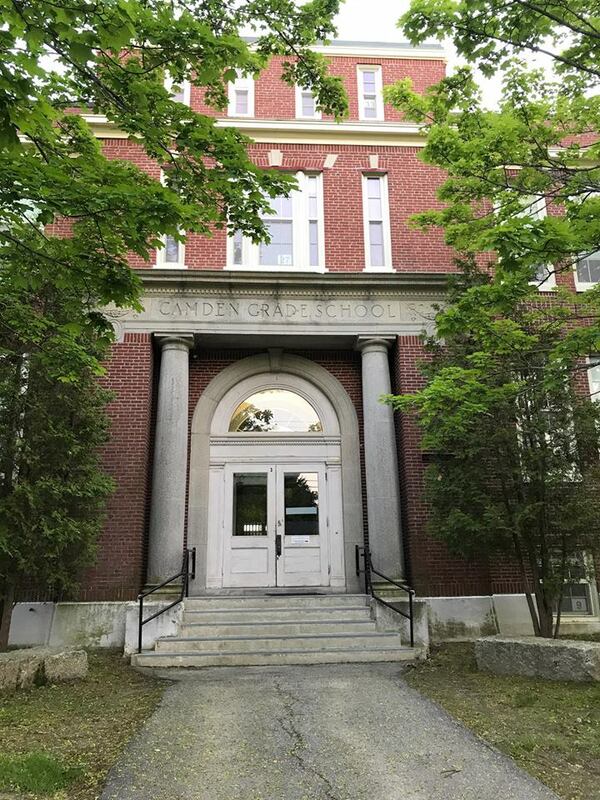 In 2015, Camden and Rockport voted down a $28 million bond to both construct a new middle school and spend $3 million to rehabilitate the MET building. In June 2017 voters again went to the polls, but the bond had been lowered to $25.2 million and included specific language regarding the demolition of the existing historic school. Public concern about the demolition was eased by assurances from Maria Libby, Superintendent, that despite what the bond stated, rehabilitation of the MET building was still on the table. This time, the bond passed. The current design plans for the new school do not include rehabilitation of the MET building; in its place plans call for an activity field. 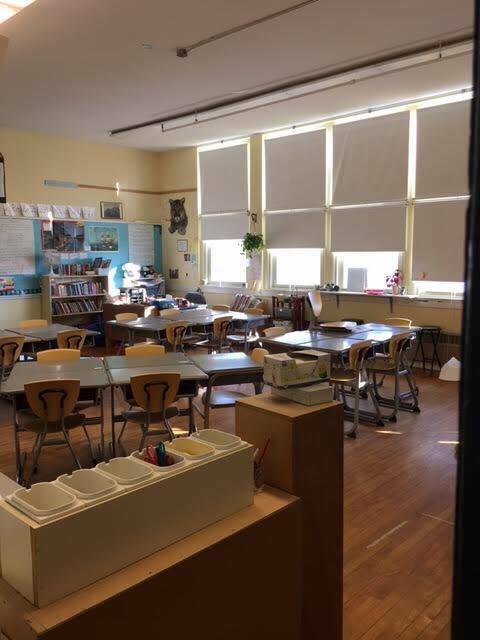 While the school board has stated they are willing to consider viable reuse proposals for the building, they have stipulated that if a private developer rehabilitates the building, they are interested in half of the existing space being used for their offices. Additionally, legal counsel has advised the School Administrative District that they cannot commit to a lease longer than 4 years as a tenant, and 10 years if they act as a landlord. The conditions they have set are such that private development will be extremely cost-prohibitive. A preliminary rehabilitation estimate for the building is $3.4 million for the stand-alone use as the School Administrative District offices. The SAD has been talking about the need for new administrative office space for more than a decade, but the school board has now voiced concern regarding the types of people who may be visiting the offices and whether or not this would be a security issue on an active school campus. 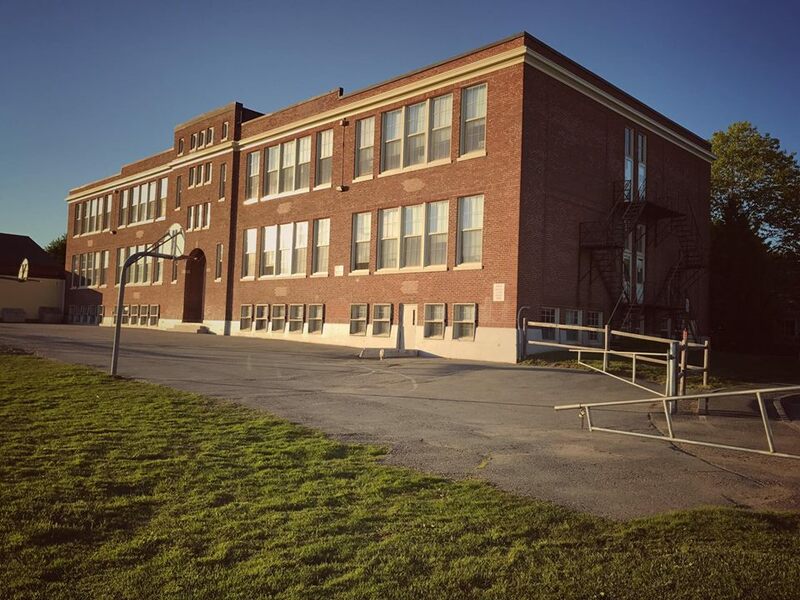 While controlling access to school property is of paramount importance, throughout Maine there are scores of existing private housing units and other buildings that abut schools and practice fields. The configuration of the MET building on the campus allows for reuse of the building with minimal disruption to the school. 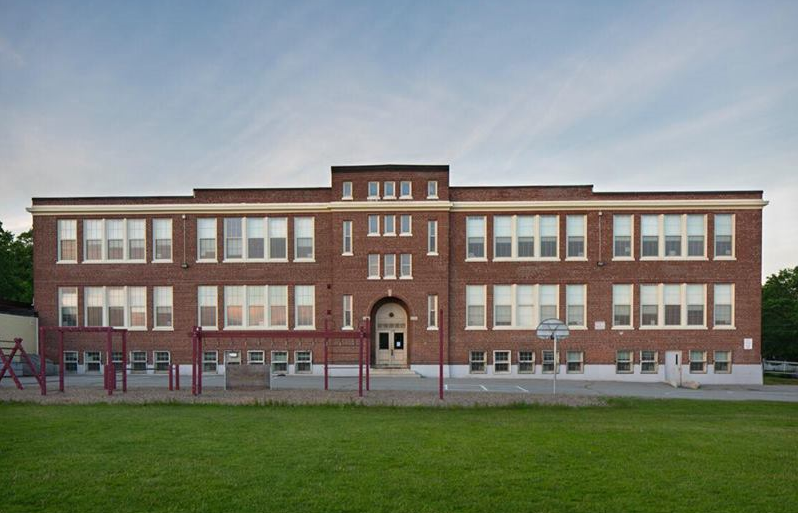 The School Board should heed the calls of the community to pro-actively evaluate the reuse potential of the building, including a broad range of adaptive use solutions. Innumerable communities have buildings and houses that border on school campuses, and the majority have not erected barriers to community members visiting sports practices or other extra-curricular activities. While located on the edge of an active campus, there are numerous options for reuse for the Mary E. Taylor School that will not interfere with or pose safety issues to school campus users. The community has too much to lose historically, socially and economically if this well-built neighborhood anchor is allowed to be demolished. As the real estate economy continues to improve, preserving historic houses has become an increasingly critical issue. Individual houses and those in historic neighborhoods are threatened by the absence of local protection from demolition or major loss of their historic character. Foreside Road in Cumberland and Falmouth, Route 88, has been cited by preservations from across the country as being among the most architecturally diverse roads in the country. 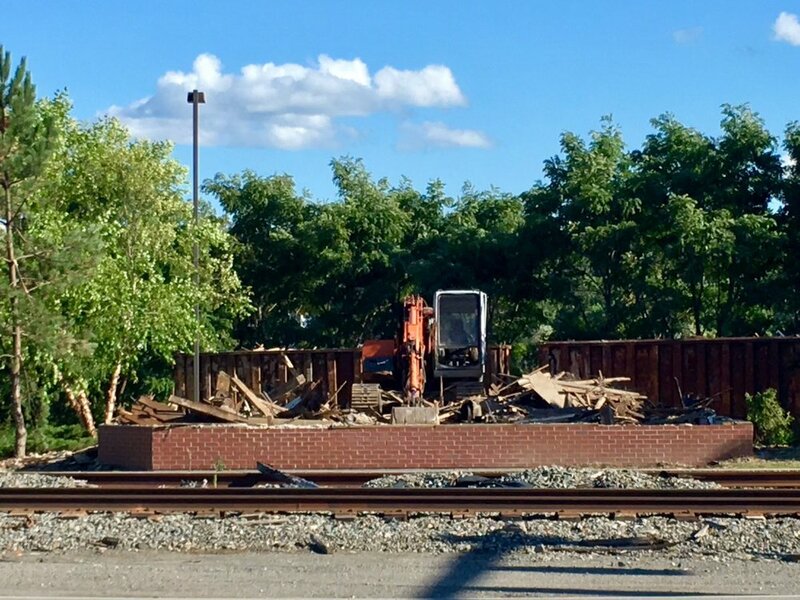 Recently, an important ca.1790 sea captain’s house at 154 Foreside Road in Cumberland was demolished without any review, input from neighbors or local residents or consultation with preservation organizations. Set back just meters from what was the Old State Road, the house was an important link to development along this significant corridor less than a decade after the end of the American Revolution. The house was demolished because ironically the Town of Cumberland, in seeking to encourage denser neighborhood development, had recently decreased minimum lot size from two acres to one acre. This house sat on a two-acre lot and when a builder decided to build a second house the historic house was razed to make it easier to have two houses. In Rockland, the recent demolition of a house associated with two internationally famous actresses from the early Broadway and Silver Screen era, Maxine and Gertrude Elliot, has sparked local concern over the ease with which an owner in Rockland could bring down a significant landmark. Community discussion on how to protect important community heritage has now begun. Unfortunately, it is often the case that a significant building has to be lost to demolition prior to action. However, increasingly communities are becoming proactive. 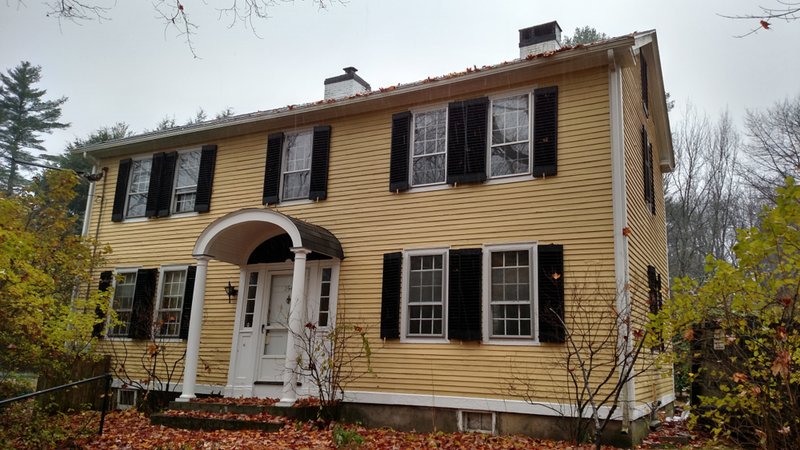 Cumberland has no local historic ordinance to protect historic houses, nor do the adjoining towns of Yarmouth, Falmouth, North Yarmouth, Gray or Windham. As a result, rehabilitation for resale of the old Stagecoach Annex on a historic stretch of Walnut Hill Road in North Yarmouth removed much of the original historic features of the house. In fact only about 25 towns and cities in Maine do have some protection; this compares to 84 in New Hampshire. But, towns exploring or recently upgrading local protection include Biddeford, Bridgton, Damariscotta, Durham, Gorham, Rockland and Searsport. Coinciding with the lack of protections in place for historic homes, housing and homebuilding in the United States is striving for cost efficiency above all other factors. Character and longevity have in some instances given way to convenience and immediate affordability. Misinformation on the energy efficiency of historic homes and the ability to cost-effectively insulate has compounded these issues. That said, there are a number of solutions, some immediately available and some further down the line, which may alleviate such stresses. Modernization of historic homes to current code and efficiency standards while retaining historic features is easily and frequently accomplished. Rehabilitations which do not retain historic features are generally more expensive and in most cases, far less durable. A key step in preserving historic houses and neighborhoods is developing greater public awareness. Surveying and assembling a list of historic buildings is a community building activity that fosters civic pride, as the history of the community comes alive through its structures. Passing an ordinance to protect these important buildings and guide their rehabilitation is a second step. Studies have shown that protected historic districts appreciate faster than adjoining areas, and faster than similar areas in adjoining towns. This is because such areas improve and maintain their appearance and accentuate historic features, and this character is what attracts residents in the first place, as well as visitors. A highly effective statewide solution to ensure the preservation of historic houses would be the introduction of a state residential historic tax credit. This credit, currently offered to owner-occupied residents in twenty-three states, is available for homes individually listed in the National Register of Historic Places, those located in National Register-listed districts or locally designated neighborhood or downtown districts. In Maine, the residential credit could mirror the highly effective historic rehabilitation tax credit for income-producing buildings only, which has sparked more than $400 million in project investment since 2008. A15-25% credit on the eligible rehabilitation expenditures or a 35-45% credit if the property is vacant and blighted, is spread over a five-year period, and if the home is sold or is no longer the owner's primary residence, the remaining portion of the credit is forfeited. If enacted, this measure would encourage high-quality rehabilitation work and grow the property tax base while preserve Maine’s unique heritage. There are 1,700 conservation land trusts in the United States, 100 here in Maine alone. They not only offer flexibility to landowners, but provide protection in perpetuity for sensitive natural areas, farmland and water sources. Economic and health benefits abound, providing community access to outdoor recreation and enhancing the overall quality of life, which in turn increases property values and attracts businesses. There are myriad ways in which land conservation groups operate and use strategies to provide protection and they can include purchase of a conservation easement to limit development or outright purchase to protect land. Nonprofit land trusts rely on grants, private donations and public land acquisition programs to cover costs. Conservation and preservation often have overlapping goals that can work together. While conservationists generally work for the protection of natural resources, preservationists work to protect buildings, objects and landscapes. But this difference in focus can result in the preservation of historic structures on conservation land being incidental. There are several recent instances of property being acquired by land trusts without provisions that allow for the preservation of historic structures on site or their separate purchase by an owner sympathetic to both interests. The result is the loss of viable historic structures that could contribute economically to the community, and the loss of historic and cultural resources integral to telling the story of the landscape. Historic preservation and land conservation are not mutually exclusive, and collaboration provides context – buildings and landscapes are more meaningful when preserved together. Additionally, our historic buildings are important economic assets and are central to providing crucial affordable rural housing units. Maine Preservation has had the opportunity to successfully partner with the Georges River Land Trust to sell for rehabilitation a vacant historic house and 5 acres in South Thomaston which is surrounded by their 200-acre conservation acquisition, while securing an option on an additional 28-acre parcel across the road that they were later able to acquire. If selling the property for private use is not viable, other states have developed models that involve both farmers and rehabilitators in residence. Developing strong relationships between the preservation and conservation communities will provide the benefit of expansive expertise that will allow for a strong economic future for both Maine’s natural and built heritage. Opened in 1932 as part the Workers Protection Administration’s initiative to ‘upgrade’ America’s transportation infrastructure, the Frank J. Wood Bridge has become an iconic piece of Southern Maine’s post-industrial landscape. The 805-foot steel-truss bridge spans the Androscoggin River which divides Topsham and Brunswick and serves approximately 19,000 vehicles per day, as well as pedestrian traffic along its western side, and is bookended at either side of the river by rehabilitated historic mill complexes which house a variety of local businesses and services. Interest in the bridge has grown significantly within the past several years owing to the introductions of proposals by Maine Department of Transportation (MDOT), to replace the historic structure with a new bridge, resulting in an outcry among local and regional champions for its preservation. In May 2016, MDOT publicly announced plans to demolish the Frank J. Wood Bridge and build a new concrete bridge upstream, over the falls of the Androscoggin River. This determination was made prior to the commencement of any of the legally required historic and environmental reviews intended to determine whether an historic structure should be preserved. Since 1999, Maine has lost 47 historic Warren Through Truss bridges, 23 of them listed or eligible for the National Register of Historic Places. With so many bridges in Maine and a shortage of funds to repair and replace them, the question is whether MDOT is getting a complete lifetime from our existing bridges. While both Maine and New Hampshire DOTs appear eager to replace bridges, Vermont has found that rehabilitation is both financially feasible and advisable. Vermont assigns a longer lifetime to its existing bridges and a shorter lifetime to new bridges than Maine, thus demonstrating the cost savings available from a conservative approach to bridge replacement. At present, whether or not the bridge is replaced the deck needs critical maintenance costing $800,000. More substantial rehabilitation will be required within the next five years to address other structural issues, namely the deterioration of essential truss bars and floor beams. Four options have been put forward to address these issues, including both replacement and repair options ranging from $13 million to $17 million. The Frank J .Wood Bridge is not functionally obsolete as it was originally constructed to carry both cars and coal trains, making it able to handle almost twice as much weight as currently required. It is also wide enough to have two 10’ travel lanes, two 5’ bike lanes and a 6’ sidewalk; the proposed new bridge is only 2’ wider. The relative costs of rehab vs. new construction are very close. The question is has MDOT used the correct estimate of lifetimes for each option. Given the level of public interest and concern, the significant loss of historic bridges in Maine and a clear and financially responsible reuse option for this historic bridge it is essential that MDOT accurately and fairly consider rehabilitation of this local landmark.